Reporting from Perpignan, one of our good friends in the biz was enjoying the usual wine and sunshine with photojournalists from a French agency (or two). Turns out that right now there’s an RX1 with interchangeable lenses, just what we asked for when the camera was first seen at photokina, roaming the night-time streets of Paris in the hands of no small Magnum name. The body is exactly the same size and the mount is thought to be a modified E-mount with additional contacts to enable the silent leaf-shutter and iris action which is the hallmark of the RX1 as a ‘stealth’ shooter. It’s possible that the RX1-N (not necessarily its name) lenses will fit other E-mount bodies, but existing E-mount lenses won’t fit the new mini-Leica-style body. But it may also contain a focal plane shutter, as there is such a high potential demand to retrofit Leica M and other vintage lenses to a full frame body of this size. More we can’t say. The two international press agencies testing the camera right now are keeping very quiet – just like the camera. In fact it’s hard to imagine the RX1 becoming as ‘noisy’ when fired as a NEX (and they are pretty silent when first curtain electronic shutter is used). So a completely new, or partially compatible, mount may be involved. It would be quite fun though if it turned out that over 30 years after the end of the Minolta CLE, a decade after the demise of the Konica RF, and fully 55 years after Minolta’s first abortive bid to make a Leica M body system camera… that Sony put a plain old Leica M mount on the front instead. Whatever the case, we gather only ONE lens has so far been released for trials and it’s probably exactly the same 35mm f/2 as the regular RX1/RX1X. A second lens is due by the October launch window and the informed guess is that it will be between 50mm and 90mm, our bets are on the most attractive Leica-heritage option, a 75mm between f/2.5 and f/1.4 in aperture. Those 75mms would have been far more popular on Leica bodies if the viewfinders had been better designed to use them. With electronic viewing, that problem disappears and there is no longer any need to keep to fixed steps like 35mm, 50mm, 90mm, 135mm. In the meantime Hasselblad is having fun selling their STELLAR alongside the earlier LUNAR – the Stellar is of course an RX100 (Mark 1) with an exotic wood (eco-friendly, folks?) or carbon fibre handgrip and some funky styling in return for a 50% higher price tag. They’ve even opened a new Hasselblad brand shop in Japan to sell these luxury bits of luggage to connoisseurs. I’ve been using the RX100II. Strikes me the STELLAR is light years behind before it even got of the launch pad. Maybe there will be a Stellar II by Christmas. Make mine an African Zebrawood grip please. Our contact was sure it was an RX1-type camera rather than a NEX and that two lenses are involved, one in existence, the second to be tested shortly. There are two test bodies in existence, being trialled by two different picture agencies. However, this is third-hand info – other photographers in the agencies involved were talking about something they had seen in the hands of colleagues, and were in turn overheard by a journalist who is not a hardware specialist, who called me with what he had heard. If this was a full-frame NEX, I think it would have been identified as such and the RX1 would not have been referenced. 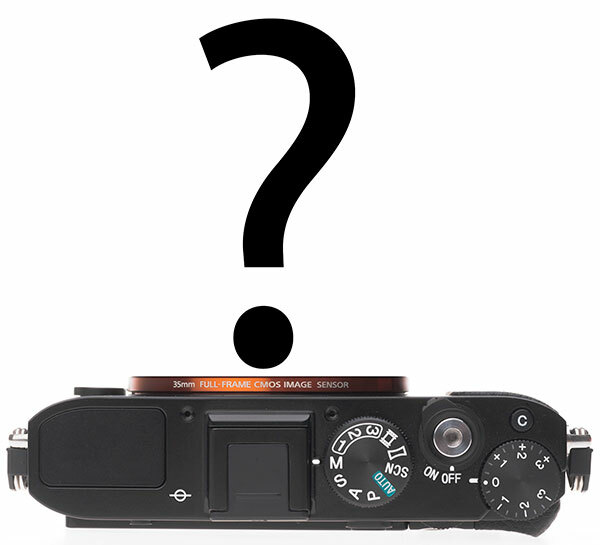 However, it is also possible that the full-frame NEX (already rumoured) could simply be styled like an RX1. I did ask whether it had an eye-level finder but this was not mentioned and therefore not known. It would be great if it was just a full-frame NEX, able to do cropped images with existing E-mount lenses and to use the LA-EA3 (full frame compatible adaptor for Alpha A-mount lenses. It would also be great if it did turn out to use the near-silent leaf shutter mechanism. Both possibilities are speculation. We’ll know in maybe four weeks’ time. ILC RX1 and RX10 coming.